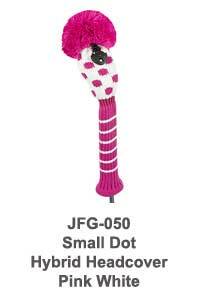 Polka dot knit headcover in hot pink with white dots, lime green with black dots, purple with white dots and black with white dots are the colour combinations available in our Hot Spots set of golf club headcovers. 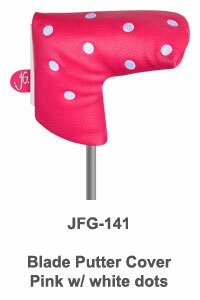 The matching poka dot hybrid headcovers come in opposite combination of colours. 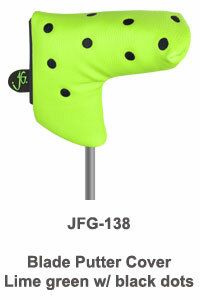 Co-ordinating pink, purple, lime green and black striped knit putter covers round out this collection. 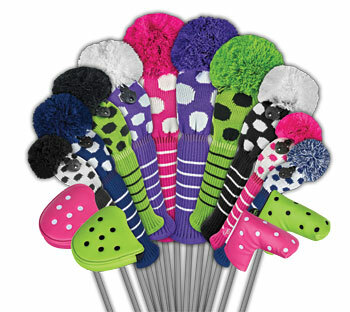 Choose to get the different colour combination set as shown or make up your own set of hot pink/white polka dot, lime/black polka dot, purple/white polka dot or black/white polka dot knitted golf club headcovers. 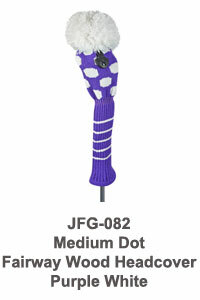 All our polka dot knit golf club headcovers have a coordinating solid coloured oversized pom pom. Polka dots pattern using white and black dots on black, white, hot pink, purple and lime green headcovers. 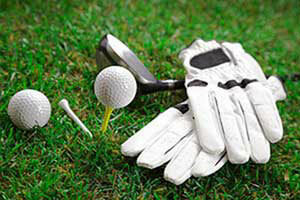 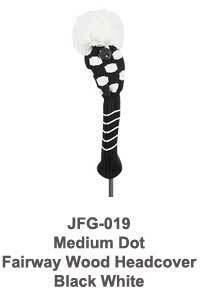 Coordinating polka dot fairway wood and hybrid headcovers available. 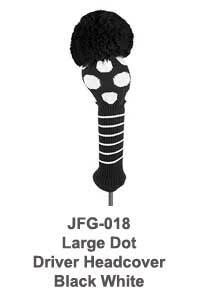 Matching knitted striped putter headcovers are also available. 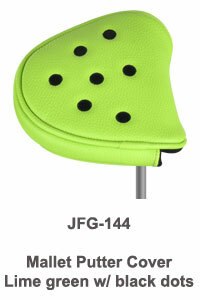 Larger polka dot pattern in lime green/black, pink/white, purple/white and black/white combinations. 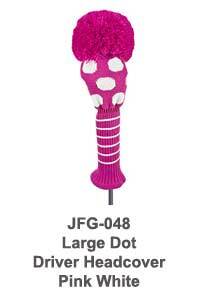 w/ large hot pink pom pom. w/ large purple pom pom. 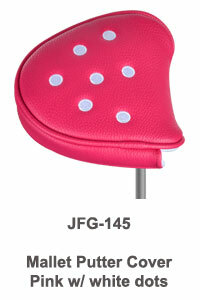 Medium sized polka dot pattern in pink/white, black/white, purple/white and lime green/black combinations available. 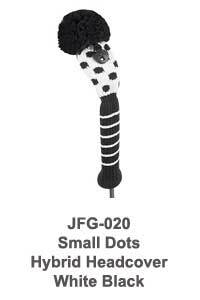 Hybrid headcovers come with reversed small polka dot patterns. 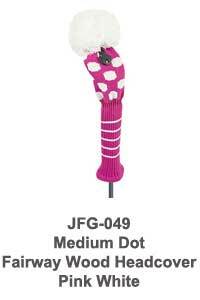 w/ hot pink pom pom.